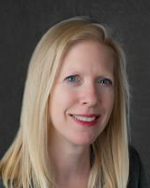 Jennifer Nancarrow is an attorney with the Oregon School Boards Association where she represent school districts, charter schools, community colleges, and education service districts throughout Oregon. She provides general counsel advice and training to clients on a variety of topics. Ms. Nancarrow has years of experience in the education system. She was a middle school teacher for three years prior to law school and previously worked in OSBA’s policy department. Most recently Jennifer worked in the General Counsel’s office at the Charlotte Mecklenburg School District. She is licensed to practice law in Oregon and North Carolina. She earned her Bachelor of Arts at the University of Minnesota, a Master of Arts in Teaching at Lewis and Clark College and her J.D. from Willamette College of Law.